Last Friday I decided to get some work done early and head out to Mentor Headlands State Park to do a little beachcombing with a couple of camera and lens combinations. With me, trudging through the sand were my Nikon D700 with the Nikkor 70-200 mm 2.8 lens and my older Nikon D200 with the Nikkor 300 mm 2.8 lens on a monopod. Lots of weight to carry through the thick sand on what turned out to be an approximate 2 mile hike! 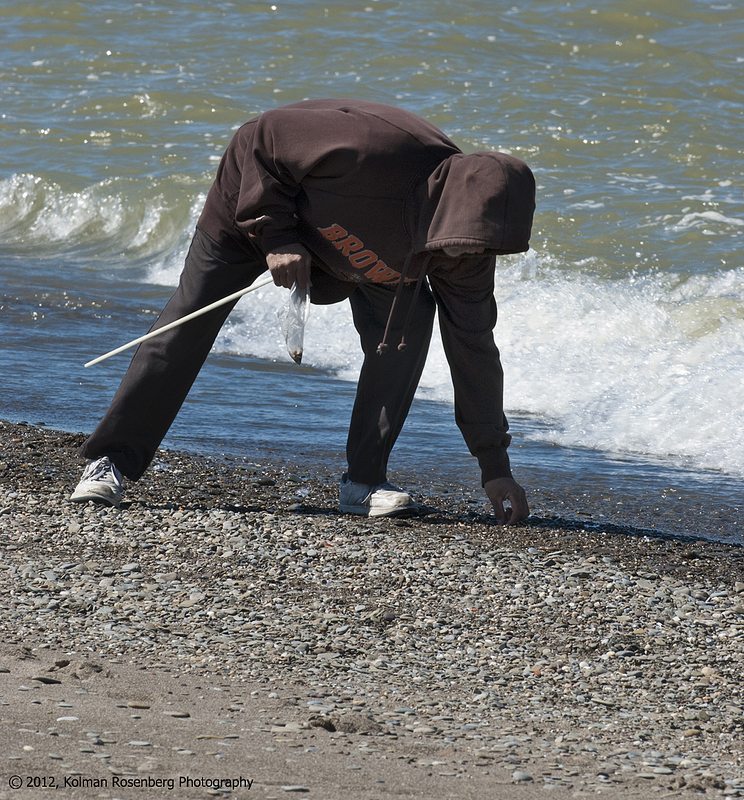 It was still quite cool out, especially on the shore of Lake Erie whose water temperature is still in the 40s. That didn’t stop the other beachcombers from wandering along the water’s edge looking for interesting looking rocks and beach glass. 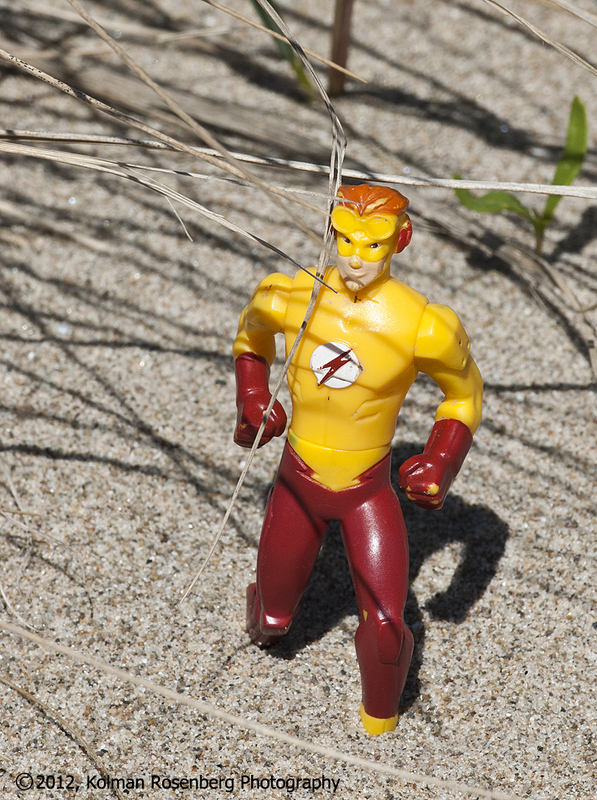 While walking along the edge of one of the sand dunes, I even came across the super hero, The Flash! I thought I was having trouble walking thru the soft sand! The Flash was up to his ankle in the stuff! This entry was posted in Uncategorized and tagged 2.8, 300 mm, 70-200 mm, Beach Glass, Beachcomber, Beachcombing, Beachglass, D200, D700, Dunes, f2.8, Fairport Harbor, Fairport Harbor West Breakwater Lighthouse, Flash, Headlands, lake, Lake Erie, lighthouse, Mentor, nature, Nikkor, Nikon, OH, ohio, photography, sand, sand dunes, state park, The Flash, Travel, West Breakwater, west breakwater lighthouse. Bookmark the permalink. I lived most of my early life on the coast and always felt the need to be near large bodies of water! 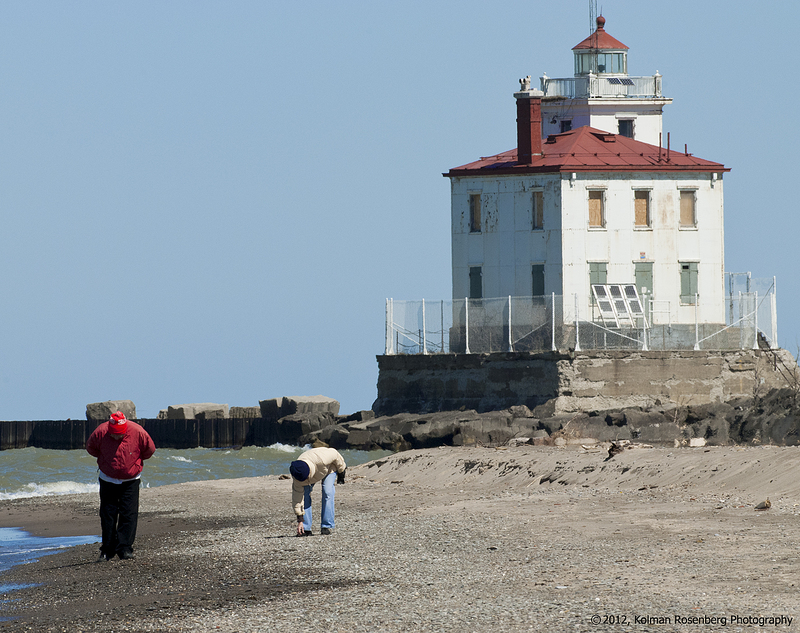 While not salty, Lake Erie draws me to it with it’s beaches, just as the ocean does! It’s our North Coast! Thanks for the comment Barb!